Evolution Aqua have now made it possible to upgrade the Nexus 210 and 310 filtration systems to incorporate the new and improved features that are present on the brand new Nexus 220 and 320 models. 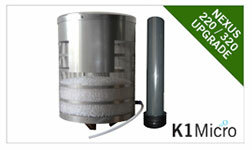 Whether you are looking to install the revolutionary Eazy filter or you simply want to add an Overflow / Universal By-Pass Kit to your Nexus, it is all possible. Select the upgrade kit you need from the options below. This upgrade kit allows you to install the new EAZY filter that is present on the Nexus 220 and 320 manufactured from May 2014. 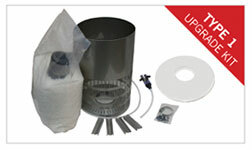 This kit includes an EAZY filter, with centre column, air-ring and airline; plus the clear lid, cleaning pipe and cleaning instructions. This kit can be used on Nexus 200 / 210 / 300 / 310 models manufactured between 2006 and 2014.
the components you need to make this upgrade. needed to fit an overflow pipe and a lid. The Type 1 Upgrade Kit upgrades all Nexus filtration systems manufactured before 2006, without an Eazy centre chamber, to a Nexus system that will have an Eazy. 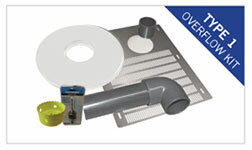 This kit contains all the components you need to make this upgrade. 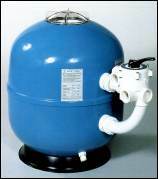 allows you to add an overflow pipe to your Nexus filtration system, that was manufactured before 2006. 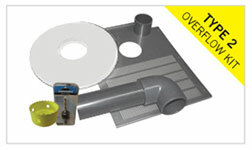 This kit only contains the components needed to fit an overflow pipe and a lid. Nexus filtration system, that was manufactured between 2006 and 2009.
to fit an overflow pipe and a lid.